Facadism refers to an architectural and construction practice where the facade of a building is designed or constructed separately to the rest of a building. More commonly it refers to the trend towards preserving the façade of an historical building while erecting new buildings behind or around it. The front walls are retained while its internal structure, roof and less notable external walls are demolished to make room for a newer building that satisfies current demand and specifications. Facadism is a popular practice in post-modern architecture reaching its peak in the latter half of the 20th century and appears often in cities where there is a strong pressure for new development. The practice remains controversial and while in the past it has been encouraged by governments in some cities such as Sydney and Brisbane, it has been actively discouraged in others, such as Melbourne. There are aesthetic and historical reasons for preserving building facades. Facadism can be a credible response to the interiors of a building becoming unusable, as a result, for example, of a fire. Rather then demolish the ruins reconstruction can be designed to preserve what remains. Good examples of this can be found in our essay Building on Ruins. In such cases the destruction was not by choice and the end result can be a positive heritage outcome. In rapidly developing areas, however, facadism can be used by developers seeking to redevelop a site as a compromise to preservationists who wish to preserve the buildings. The setback or podium architecture technique gives an illusion of integrity to the original building by visually separating the old from the new, in an attempt to mitigate farcical effects such as the floors and windows not lining up or a dramatic clash of styles. In a developing city heritage buildings are forced to adapt or end up being demolished. Can it be argued then that partial preservation is better than destruction? “to save only the façade of a building is not to save its essence; it is to turn the building into a stage set, into a cute toy intended to make a skyscraper more palatable. And the street becomes a kind of Disneyland of false fronts”. While critics will argue that the result is an architectural sham and preservationists consider it vandalism and an insult to history, facadism is sadly a trend resulting from demand for new development outweighing the community’s desire for preservation. “ First(ly) there must be a strong enough market …because it is ludicrously expensive…..second(ly), there has to be enough surface interest in preservation for someone to recommend this solution. Third (ly), the community’s preservation ethic cannot be strong enough to demand a true rehabilitation project”. 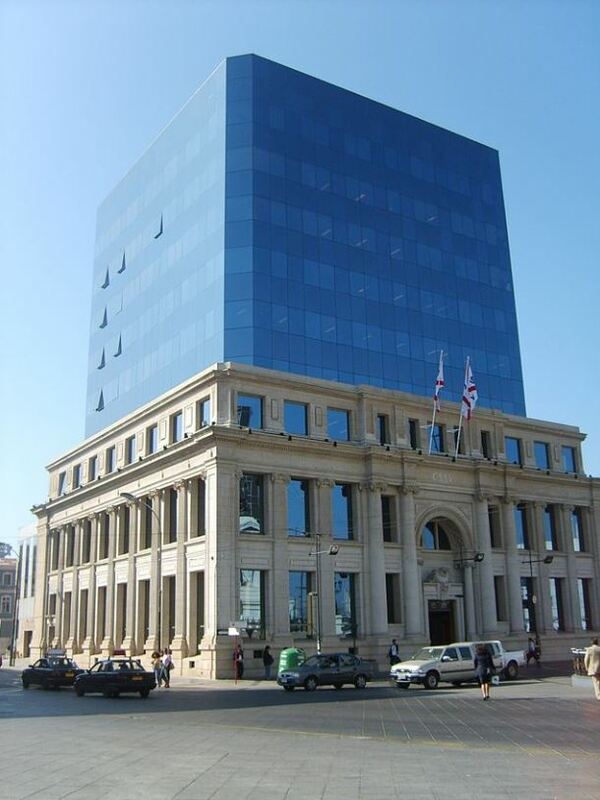 Facadism appears to imply that that the activity within the building and the three dimensional form of the building is not as valued as the appearance of the building on the street. There is an argument that façades are about streets, not individual buildings. That façades make a positive contribution to the street with their design being much more important than the building behind it. The façade as separate from the building is not a new concept. Historically, many facades have been conceived independently of the buildings behind them. In the Baroque period in Rome it was widely recognised that the façade, while signalling the nature of the building behind, should above all form part of the streetscape. But this concern for the streetscape is thought to have peaked in the later part of the nineteenth century. The difficulty comes when battles to save the buildings considered important leave the places without context and overwhelmed by their additions and new context. According to Paul Goldberger “To turn an older building of distinction into a fancy front door for a new tower is to respect neither the integrity of the new or that of the old, but to render both buildings, in a sense, ridiculous. For in these cases both the new and old are trapped in something that neither building was really intended to be part of”. The Burra Charter asserts that the aim of conservation is to retain the cultural significance of the place. ICOMOS calls for the protection of the spirit of the place. The answer is never black and white. When assessing the pros and cons of facadism each case must be considered in its own light. What is the significance of the place? Does keeping the façade maintain it? Goldberger, Paula, ”Facadism’ on the rise: preservation or illusion?’, The New York Times, July 15 1985, <http://www.nytimes.com/1985/07/15/nyregion/facadism-on-the-rise-preservation-or-illusion.html> viewed August 2014. Heffern, Sarah, ‘When History Is Only Skin Deep’, National Trust for Historic Preservation website article, April 26 2001, <http://www.preservationnation.org/magazine/story-of-the-week/2001/when-history-is-only-skin.html> viewed August 2014. King, John, ‘Classics preserved — or are they?/In a changing city, vintage buildings often must adapt or get out of the way. Gutting them while leaving the facades intact at least allows for partial preservation’, San Francisco Chronicle September 20 2006, <http://www.sfgate.com/bayarea/place/article/SAN-FRANCISCO-Classics-preserved-or-are-2469373.php> viewed August 2014. Marshall, David, ‘Opinion: Facadism’, 20th December 2011, <https://www.academia.edu/1821734/Opinion_On_Facadism>, viewed August 2014. Unknown author, ‘Facaded and Facadism’ 16 October 2008, <http://www.architectureanddesign.com.au/news/industry-news/fa-231-ades-and-fa-231-adism> viewed August 2014.